This classic book, now re-issued in paperback, presents a detailed account of the mathematical theory of viscosity, thermal conduction and diffusion in non-uniform gases based on the solution of the Maxwell-Boltzmann equations. The theory of Chapman and Enskog, describing work on dense gases, quantum theory of collisions and the theory of conduction and diffusion in ionized gases in the presence of electric and magnetic fields, is extended in the later chapters. The third edition was first published in 1970 and included revisions to take account of extensions of the theory to fresh molecular models and of new methods used in discussing dense gases and plasmas. 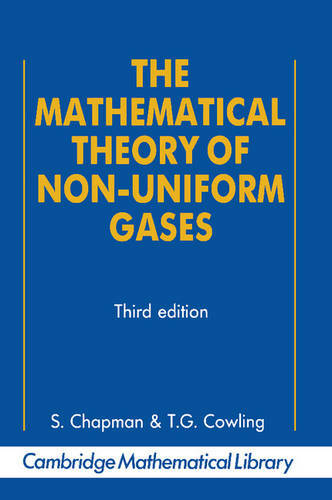 This reprint will therefore be of value to mathematicians, theoretical physicists and chemical engineers interested in gas theory and its applications.